Nathalie is a public servant who is passionate about leadership development. She designs and implements programs and events to guide managers and executives in achieving their leadership goals. Nathalie is certified in various psychometric tools, including the DISC personality and EQ-i assessments. Nathalie and her husband, Jason Howard, Registered Holistic Nutritionist, are also the owners of Holistic Self, a home-based health centre whose focus is on helping individuals reach their body, mind and spirit health goals. Nathalie is a Reiki practitioner who has been doing research on natural health for over 10 years. She is a student of aromatherapy, and creates natural beauty, healing and bath products made of 100% natural ingredients. Nathalie has a passion for teaching and loves to share her knowledge with others. Eric Methot-Curtis recently graduated from the University of Ottawa completing his Master’s of Physiotherapy in the summer of 2016 and previously completed a Bachelors of Health Sciences in 2014. During his final clinical placement at Bellefleur Physiotherapy, Eric was impressed with the quality of care and service that was offered. He shares Bellefleur Physiotherapy’s vision in providing quality care by using a client-centered approach. He believes the client is the top priority and strives to make sure the client’s needs are surpassed. 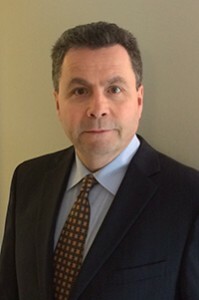 He is a firm believer in evidence-based practice and using the most up to date research to ensure he is providing effective and efficient care. Eric strongly believes that a combination of manual therapy, exercise and education are essential in helping empower patients to achieve their highest level of function possible. Dr. Emma ND received a bachelor’s degree in biochemistry from the University of Guelph then completed a Doctor of Naturopathy at the Canadian College of Naturopathic Medicine (CCNM) in Toronto. During her last year at CCNM, Dr. Emma completed a one-year internship at the Robert Schad Naturopathic Clinic. 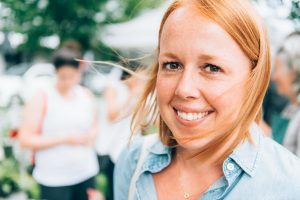 While there, Dr. Emma was a member of the adjunctive cancer care specialty shift, providing naturopathic care and support to those living with cancer. 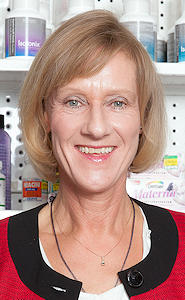 At Queen West Community Health Centre in Toronto, she provided Naturopathic Care to patients of the community. 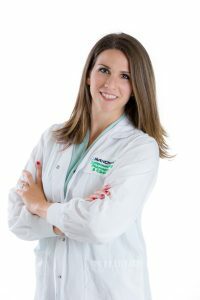 Dr. Emma has a special interest in pelvic health including urinary and bladder issues such as recurrent urinary tract infections (UTI), interstitial cystitis/bladder pain syndrome (IC/BPS), and benign prostate hyperplasia (BPH). Do you suffer from thyroid symptoms yet your blood work comes back normal? Still can’t lose weight despite taking thyroid medication? Join Dr. Tanya Manikkam ND as she discusses the ins and outs of hypothyroidism and what you can do to finally take control of your health. What laboratory tests should you be doing if you suffer from hypothyroidism? Are there any supplements you can take to help improve thyroid function? Does diet play a role in thyroid health? 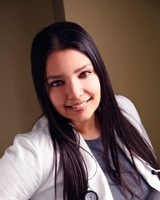 Dr. Tanya Manikkam ND has been interested in holistic medicine from an early age. After graduating with a degree in psychology from the University of Ottawa, she studies biology at the University of Toronto. She then successfully graduated from the Canadian College of Naturopathic Medicine in Toronto. 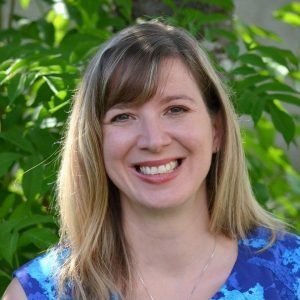 Dr. Tanya has a general naturopathic practice with a special interest in hormones and mental health. She is a member of the American Academy of Anti-Aging Medicine (A4M) and has completed her certification in Advanced Endocrinology with the Metabolic Medical Institute in the United States. How to Make Your Health a Priority: Simple tips for making real food work for real life. Even though most people know that they should be making their health a priority, not everyone does. farmer’s market or enjoying dinner out at her favourite restaurants. The Stress Cure – Don’t let stress rule your life! – Come and learn the 5 simple ways to equip your body to deal with everyday stress by learning practical diet, supplement and lifestyle secrets to creating a healthier, happier you! For twelve years, Natalie has been the Branch Manager, and owner, of the Ottawa Branch of the Canadian School of Natural Nutrition. She is a certified group fitness instructor, SUP instructor and yoga teacher. 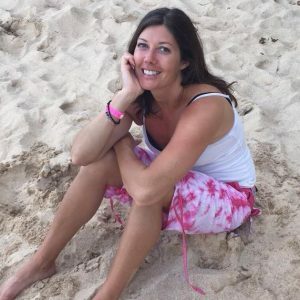 Natalie also spends a lot of her time traveling around the world teaching yoga and fitness classes as well as creating menus and exercise programs for resorts. She is known for being a straight-shooting motivational speaker who empowers people to live healthier lives. Hot flashes, night sweats, weight gain, no libido, exhausted and bitchy.Learn how to go from hot and bothered to calm cool ,but still sassy. How to survive menopause with lifestyles, supplements and hormone balancing. Irene Hogan is an author, pharmacist and menopause practitioner.She helps women navigate the journey of menopause so they can restore and balance hormones and feel energized, have better moods, feel rested, and thrive.Menopause is not for the faint hearted, however with the right plan you can live it well. The Secrets of the Blue Zones: the top 16 things you need to do to live well into their 90s and beyond. Many years ago National Geographic Mag identified various zones around the world where these people lived well into their 90s and beyond. There are around 12 plus zones around the world and each one has it’s own special ingredient that contributes to longevity. These 16 items are what is common to all of the zones. Daniel Roy is an author and public speaker on the issues of wealth management, personal development and retirement planning. He promotes a holistic approach to his work by including the non-financial as well as the financial issues in one’s life. In his practice, he combines the skills of a certified retirement coach with those of a certified financial planner to help his clients create a rewarding and fulfilling life. Daniel enjoys the outdoors, skiing, cycling, traveling, reading and spending time with his family. He shares his passion for military history and technology as a volunteer guide at Ottawa’s Canadian War Museum. Medication deprescribing is the reduction or discontinuation of unsafe medications. Deprescribing requires a healthcare team of doctors (MDs and NDs), pharmacists, nurses, and other healthcare professionals working together to help patients safely discontinue inappropriate drugs. Though medication deprescribing is a new area of practice in healthcare, it is an ethical and much-needed service for many patients. In particular, community pharmacists can play an integral role in helping to flag inappropriate prescription drug use and work with prescribers to improve patient safety. Dr. Adam Livingston, PharmD is a clinical pharmacist at NutriChem Compounding Pharmacy & Clinic. 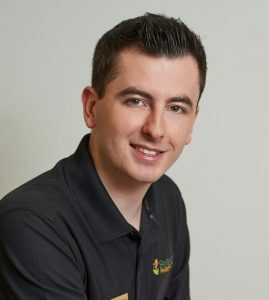 He graduated from The University of Toronto’s Doctor of Pharmacy program in 2017 after completing his undergraduate degree in Biochemistry at Queen’s University. 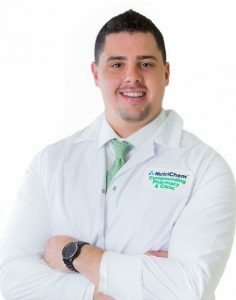 At NutriChem, Adam works with a team of clinical pharmacists, naturopathic doctors, and registered holistic nutritionists to implement evidence-based approaches to alternative healthcare. Adam and NutriChem’s philosophy is to provide individualized health solutions for patients. In other words, he is a proponent of using drugs when they are the best option for some individuals, and alternatives when they may be more beneficial for other patients.